ICMS has had a proud history as a provider of high quality education, equipping graduates with the knowledge and skills needed for success. In order to drive innovation and enhancement at the Institution, the following principles are used to underpin all courses and subjects. Career-focused, with courses developing contemporary knowledge and skills needed for success. This means: Innovation is driven through strong relationship with industry; all subjects have a combination of practical and current content; new ways of learning and teaching develop 21st Century skills such as digital literacy; and everybody has a portfolio to gather evidence of learning and reflection, starting from day one. Global, with courses exploring international perspectives. This means: Intercultural experiences start on day one of O-Week, acknowledging, valuing and incorporating the diversity of students’ experiences; all subjects have activities to build intercultural and ethical awareness as well as approaches to sustainability; and graduate capabilities such as leadership and communication skills are honed and documented throughout courses. 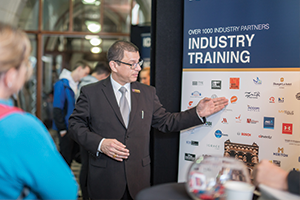 Connected, with courses fostering links between students, staff, our industry partners and the community. This means: Activity to build connections between knowledge, skills and peers happens in at least 30% of every hour; connections between discipline knowledge and professional skills are made explicit in every lesson; and default layout in classrooms is clusters not rows, encouraging collaborative learning. Empowering, with clarity and transparency so everyone knows what success looks like. This means: Every student’s learning journey is supported and excellence for students and staff is acknowledged through scholarships and awards; policies and procedures are clear and transparent; and all assessment tasks have clear instructions, standards-based rubrics, templates and models.